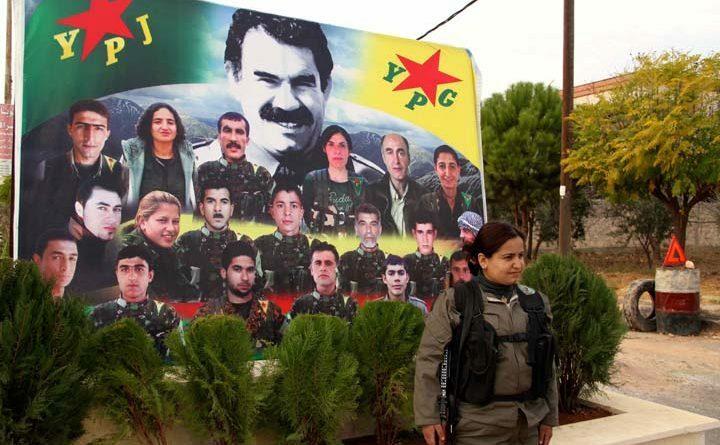 We, the International League of Peoples’ Struggle (ILPS), salute the heroic resistance of the Kurdish people and their army in Rojava, the YPG/YPJ – People’s Protection Units – against the criminal gangs of the so-called Islamic State (ISIS) in Kobane, one of the self-governing cantons of West Kurdistan (Rojava) in Syria. We call on all the more than 300 ILPS member-organizations in 38 countries around the globe to take initiative and express their solidarity and support to the Kurdish people’s resistance in Kobane and the whole of Rojava, or join the demonstrations being organized by the Kurdish liberation movement in different parts of the world. The ILPS condemns the super-terrorist US for creating the ISIS monster that has rampaged through parts of Syria and Iraq, committing hideous crimes against the people in areas that they have overrun. We condemn Turkey for collaborating with the US in creating, arming and coddling this horde of terrorists. ISIS and similar extremist Islamist terrorist groups like the Al Qaeda and Al-Nustra have been created by the US as part of its over-all scheme to remake the Middle-East, by carrying out regime change in such countries as Libya and Syria that have dared to assert their national sovereignty against imperialist plunder and war. For its part, the Turkish government is using ISIS to attack the Kurdish liberation struggle led by the PKK. ISIS terrorists have been trained by US Special Forces in secret NATO bases inside Turkey and Jordan. For the last year and a half, the US has been developing what the world has now come to know as ISIS. Turkey has allowed safe passage through its borders of jihadists from different parts of the world to join ISIS, and has facilitated the transport of wounded ISIS terrorists to be treated in hospitals in the Turkish province of Urfa and other cities in Turkey. The US is remaking the Middle-East in order to consolidate its hegemony in this oil-rich region. It is using the ISIS in the same manner as it has used Neo-Nazi gangs in the Ukraine to stir up trouble and force regime change, toppling the duly-elected president, and replacing him with a pro-Western president and a fascist military junta as part of US-NATO strategy to encircle and pressure Russia. In the wake of the hideous crimes of the ISIS, including the massacre of Shiites and Christians, and the beheading of Western journalists, the US has pretended to adopt a policy of opposing ISIS and carrying out bombing raids against ISIS. In fact, the US is still thereby using the ISIS as the pretext to violate the national sovereignty of Syria. The US war planes are actually bombing food granaries and buildings in Syria which are away from ISIS positions. They are now in a position to attack the forces of the Syrian government. Turkey has also exposed its real dirty agenda to attack the Kurdish liberation struggle by bombing PKK forces in Oramar (Daglica) near the border with Iraq, relieving ISIS from the successful counter-attacks of the Kurdish fighters and allowing the ISIS to block humanitarian aid from Iraqi Kurdistan. The Kurdish resistance forces in Kobane have said that they can defeat the ISIS without any need for foreign intervention such as that falsely offered by the US and Turkey. All they need from Iraqi Kurdistan are sufficient weapons and ammunition against the tanks and vehicles mounted with big guns of the ISIS terrorists. The terrible crimes being perpetrated by the ISIS and the support given them by the US and Turkey have aroused the anger of freedom-loving people throughout the world. At the same time, the heroic resistance of the YPG/YPJ – the People’s Protection Units – composed of Kurdish men and women, has inspired the people of the world to rally in support of the Kurdish liberation struggle. The acknowledged leader of the Kurdish liberation struggle, Abdullah Ocalan, has called on the entire Kurdish nation to mobilize in support of the resistance in Kobane. Kurds throughout the world have responded by organizing demonstrations in many countries calling for international support. We must show our solidarity to the Kurdish people in their hour of need and give them all-out support until victory. ← We support the Kurds to stop ISIS!